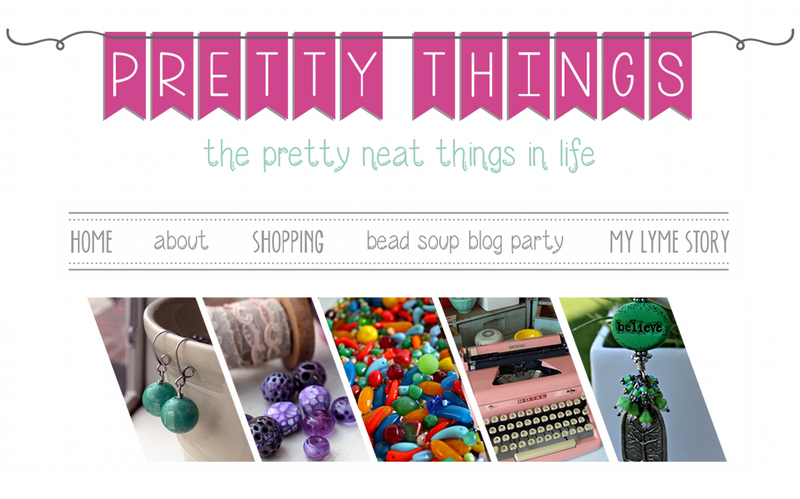 Pretty Things: Cup of Bead Soup last reveal #3 -- Summers Studio -- AND Bead Soup Blog Party! So pretty, Lori! It does have a great, fresh summery feel to it. 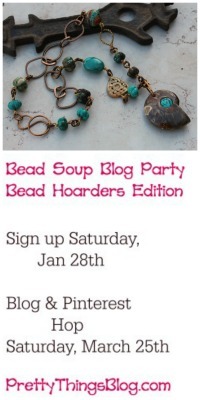 I've been lurking the bead soup blog parties. I'm considering joining in this time. Is it open to everyone? Whimsical, light and feminine. Totally gorgeous! 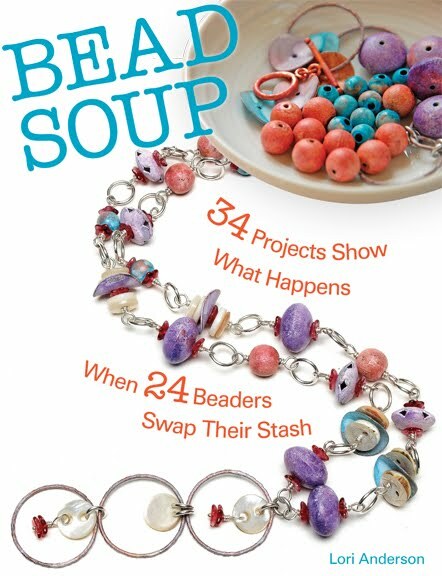 Yea for bead soup! What I love best about this is that you never know what you are going to get. That is part of the fun. It really stretches me creatively when I have to allow myself to be open to the possibility! 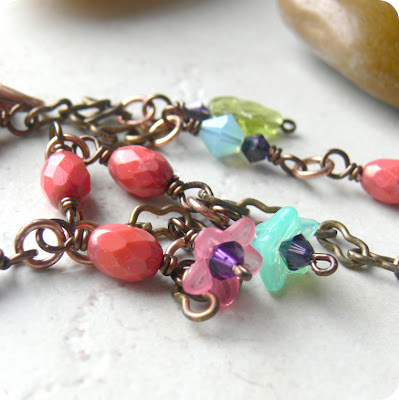 Plus I have made some wicked cool friends through the Bead Soup Blog Hop. I hope that there will be many more new friends to join in the fun! Thanks for all of this great inspiration this year Lori. You are my 'something good' today! I can smell the spring flowers. A very beautiful, delicate design. 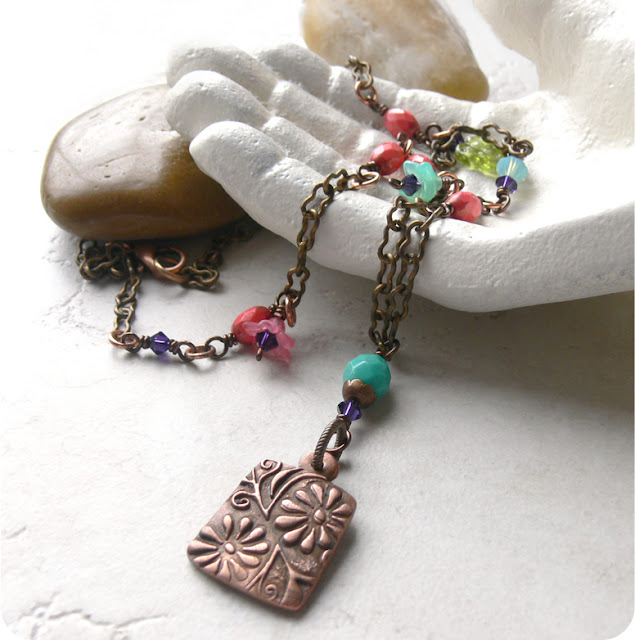 I love the springy feel of your necklace, it looks tres bohemian chic to me! Always so pretty! Very fresh looking, beautiful colors! 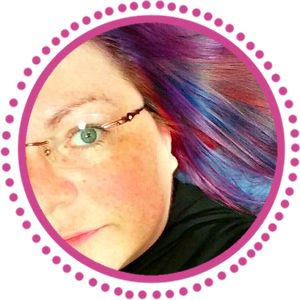 Another fantastic creation, Lori...thanks for stopping by my blog. 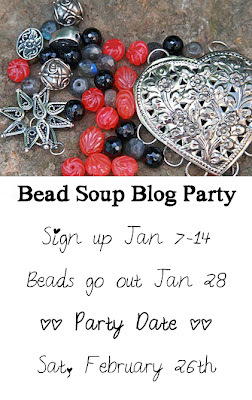 I think I am ready to play again in another bead soup party...so I hope I remember to sign up next month. I'll have to grab one of those badges. Hope all is well with you. A very happy-go-lucky piece! Just like walking on sunshine. Flowers Flowers Flowers my favorite bead! Yay!!! Another challenge, I love it! Ohh Lori, your piece is gorgoeus - love that color-mix. And I'm so looking forwar to the new party!!! Candy Colors! It makes me think of summer. And that with new snow to come on Christmas Eve! Oh, the sun is coming through the snow! 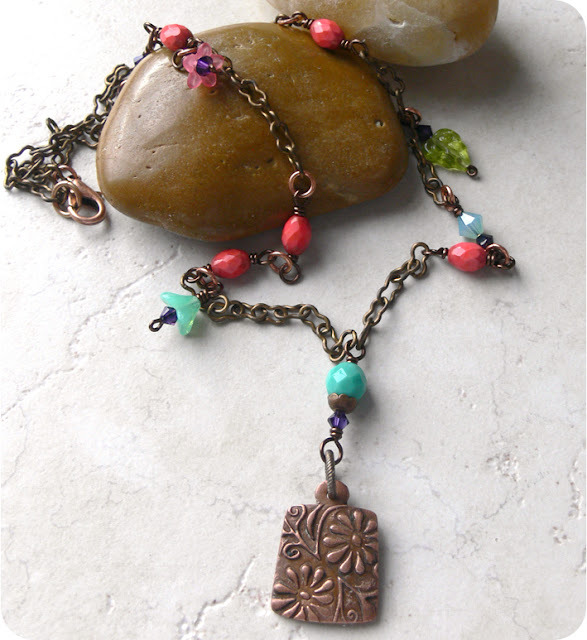 This necklace says "spring" and "life" and "warmth" to me. Happy Holidays to you and your familiy!